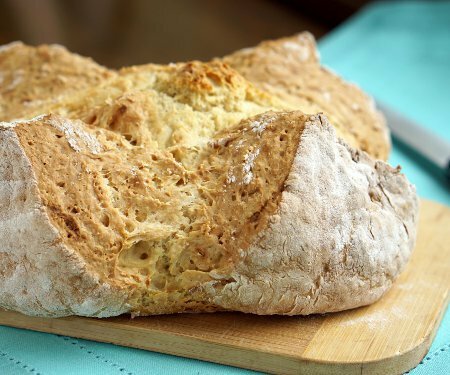 This traditional Irish Soda Bread recipe produces an easy and hearty loaf with a texture between a yeast bread and a biscuit. 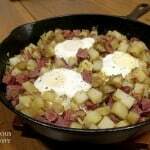 It is perfect for breakfast or for serving along side of a thick and hearty Irish stew. While we think tend to think that the idea of using baking soda to make bread was an Irish invention, the earliest reference to making bread with baking soda (at that time known as ‘soda ash’ or ‘pearl ash’) was by the American Indians in hot rock ovens. 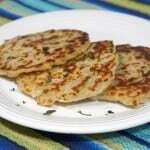 The earliest Irish recipes for soda bread date to the early 1800s. The Irish and the American Indians had the same idea, just a few decades apart! 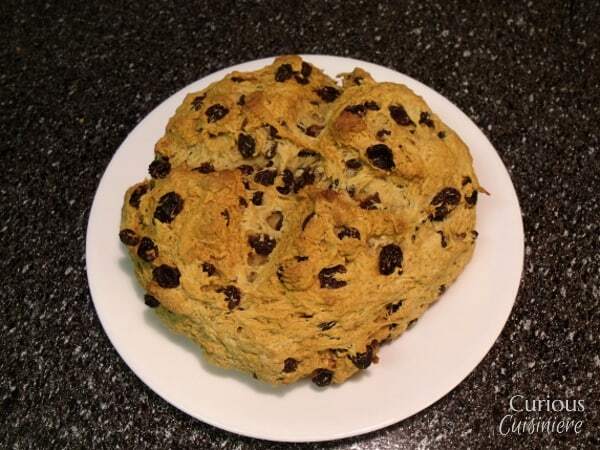 You will find MANY recipes for Irish soda bread these days. (We even have another version for caraway soda bread.) 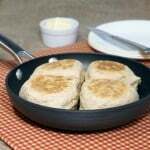 But, many of these Irish soda bread recipes add extra ingredients and resemble more of a tea-cake than a true, traditional Irish soda bread. Traditional Irish soda bread only calls for four ingredients: flour, baking soda, buttermilk, and salt. It characteristically has a large cross cut in the top of the loaf. Practically, this helps the bread rise in the oven. 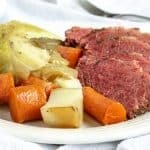 But, there is also an old Irish superstition that the cross cut into the bread would help to ward off any evil spirits. With so few ingredients, it is easy to see why soda bread was (and is) a daily bread in Ireland. Soda bread is best eaten within a few days, and doesn’t keep for too long, so it’s a bread that needs to be made in small loaves every few days. Making bread every few days could be a lot of time consuming work, but by using baking soda as leavening, rather than yeast, this bread doesn’t need any riseing time. It goes straight from mixing bowl into the oven. When you can have fresh bread in under an hour, why not make it every day? 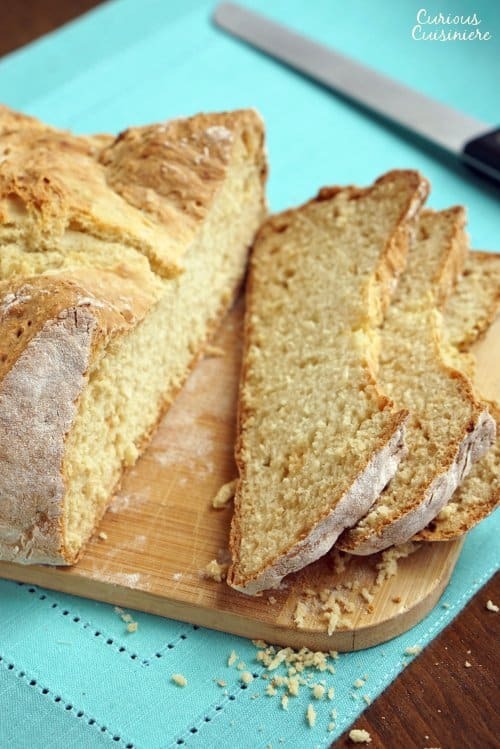 We stick to the traditional ingredients for a white soda bread in our Irish soda bread recipe below. 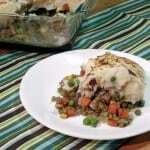 We love the dense, lightly crumbly texture and hearty flavor of the bread. And, while it does slice better if you let it cool completely before cutting into it, we can never resist a slice of warm soda bread! Seriously, bread in just an hour. How could you resist? 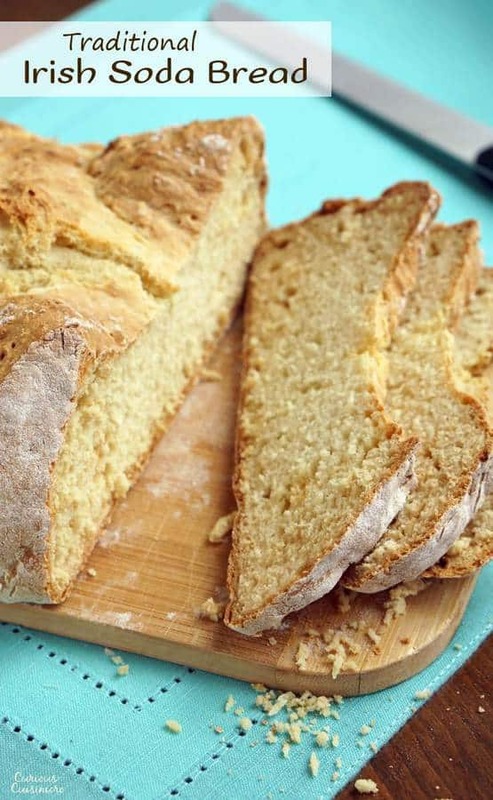 This traditional Irish Soda Bread recipe produces an easy and hearty loaf with a texture between a yeast bread and a biscuit. In a large bowl, mix together the flour, baking soda, and salt. Place the round of dough onto a lightly floured baking sheet. Press the round to flatten it slightly, and dust it with flour, if desired. Cut a deep X (about 1/2 of the way down, through the sides of the round) in the top of the loaf with a serrated knife dipped in flour. Bake the bread in your preheated oven for 30-40 minutes, until the loaf is golden and sounds hollow when tapped. Let the bread cool for at least 15 minutes before slicing and enjoying with butter and a cup of tea. *Don’t have buttermilk? Place 5 tsp of white vinegar or lemon juice in the bottom of a 2 cup liquid measure. Add milk until you reach 1 ¾ c. Let this mixture set for 5 minutes to let the milk sour before using it to make your soda bread. 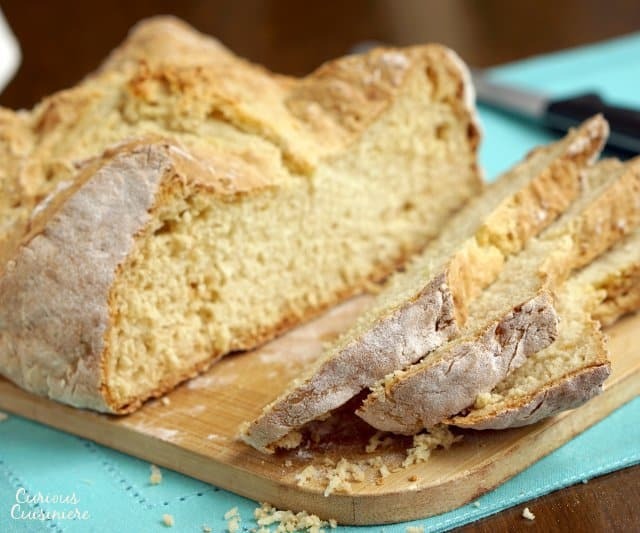 Want a sweeter Soda Bread? Add 1 cup of raisins and 2 Tbsp sugar with the dry ingredients before adding the buttermilk. 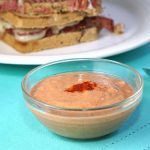 Recipe updated March 2017. Enjoy! It seems to me that this page is not giving credit to the page it appears to have been “borrowed” from. 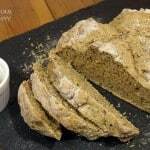 Society for the Preservation of Irish Soda Bread is a Facebook group for the page. http://www.sodabread.info is the original site and they always give credit where credit is due. Hello Patty. We appreciate your concern for the integrity of our site. 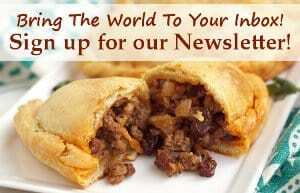 We to a lot of research before publishing our articles and recipes. 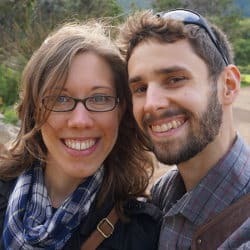 While the site you mention is a very interesting site that we did come across in our research, it is definitely not the only one. If it seems we ‘borrowed’ information from that site, it is because that information is widely documented and not ‘owned’ by one source in particular. Thank you for your love and dedication to soda bread. I love Irish soda bread. 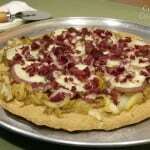 Thanks for sharing on Foodie Friends Friday. I haven’t made a soda bread for ages!